Cakes from Flippen Women - the Dieter, La Pashe. The Kitchenalia is from Crafty Individuals CI -340. I am so looking forward to seeing your creations, please have a fun time everyone. For their 2013 challenge The Craft Barn have again produced an excellent challenge - The Alpha/Dictionary Challenge more details available at The Craft Barn. They provide a letter of the alphabet for a fortnight challenge, but to stop we crafters from getting ahead of ourselves they are cleverly and crafter-ly providing us with a letter from a mixed up alphabet, so no guessing what lies ahead each fortnight. I am late in joining in the fun, for several reasons, but I have completed letter P for the sixth week and intend to do a catch up with the previously provided letters, V, C, E, H, Ma - Me. For my letter P I have chosen the word PAWN, as in a Chess Pawn - dictionary definition - chess man of smallest size and value, unimportant person, subservient to others' plans. 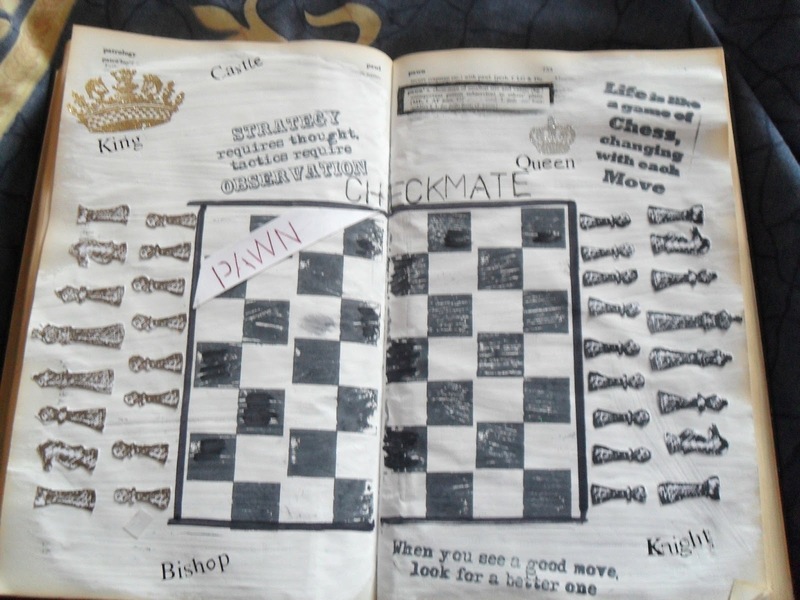 Any chess players will probably spot, I am a line short on the chessboard, instead of it being 8 x 8 squares it is actually only 7 x 8 squares, sorry I didn't spot my error until the lines were drawn around the board, too late to alter it. I have used a Crative Expressions Vintage Games set of stamps, The Queen's crown is from Kanban Jasper set of Steampunk stamps. I used some very old rub ons for lettering and a stencil for other lettering. This is my very first time in approaching a book in this way. I greatly enjoyed creating the page and may now understand the enjoyment in journalling, time will tell. Must dash to get this onto the The Craft Barn before the challenge is closed. This week at Alphabet Challenges it was my turn to choose the topic for the Letter D - we are looking forward to our Easter weekend, I did think Daffodils was appropriate, though here in the UK it is so cold, the daffodils are only just showing part of their leaves through the cold earth. Mother Nature has taken a longer winter break than we ever could have imagined. The up side is we can still look forward to those hosts of Golden Daffodils. 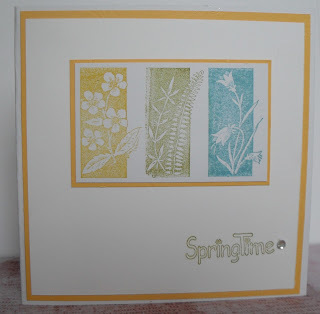 For my card, I choose a DL card, tall thin and elegant for a beautiful spray of spring flowers, another bargain clear stamp, which I purchased from Dimension at a craft event last year, it is a favourite stamp of mine. Stamped with Tuxedo Black Memento and coloured with Promarkers. Once again I look forward to visiting your blog, for this next week I will at least be seeing a host of golden daffodils in blogland. Have fun everyone. I don't normally use such light colours but if I can, you can. It is amazing how well they worked together. 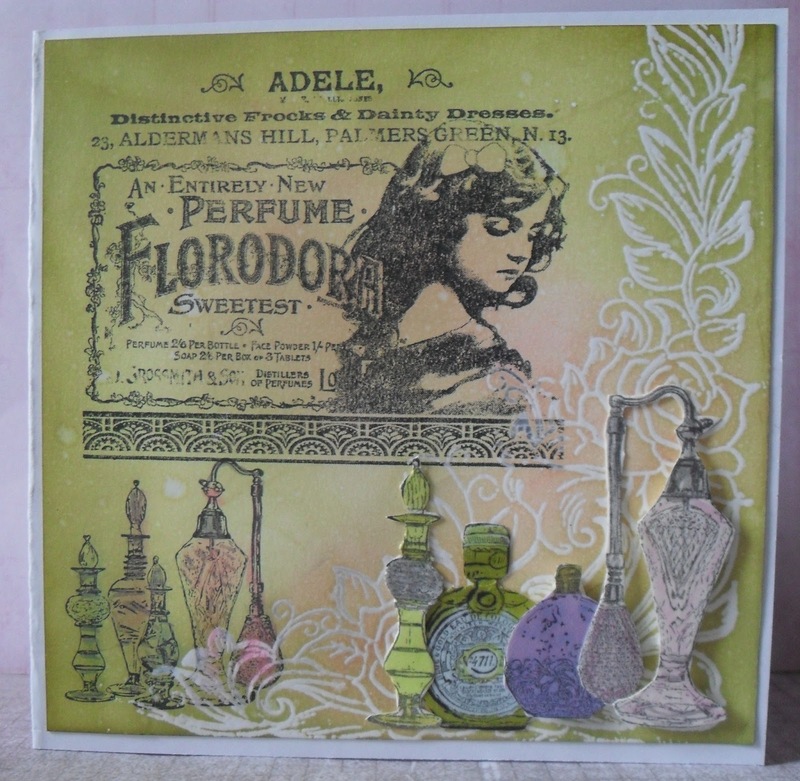 I added my two stamped strips to a cream card for I felt the white background was too bright behind the images.I have used Lavinia Stamps, to create a touch of fairyland, though I was kindly informed by a friend these are not fairies they are pixies, one must be PC. I used Worn Lipstick, Frayed Burlap and Peacock Feathers from the TH range of Distress Inks to create the colours. Have fun everyone, I'll be soon popping onto your blog to view your creations. 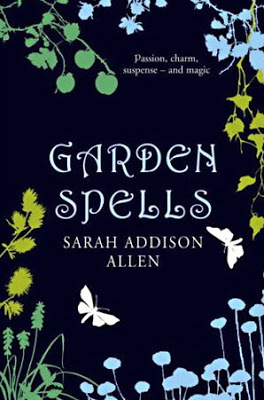 For our challenge this week Mynette has chosen a book cover - Garden Spells , to inspire us. Please pop over for the photo and more details at Make My Monday to help you with this challenge. 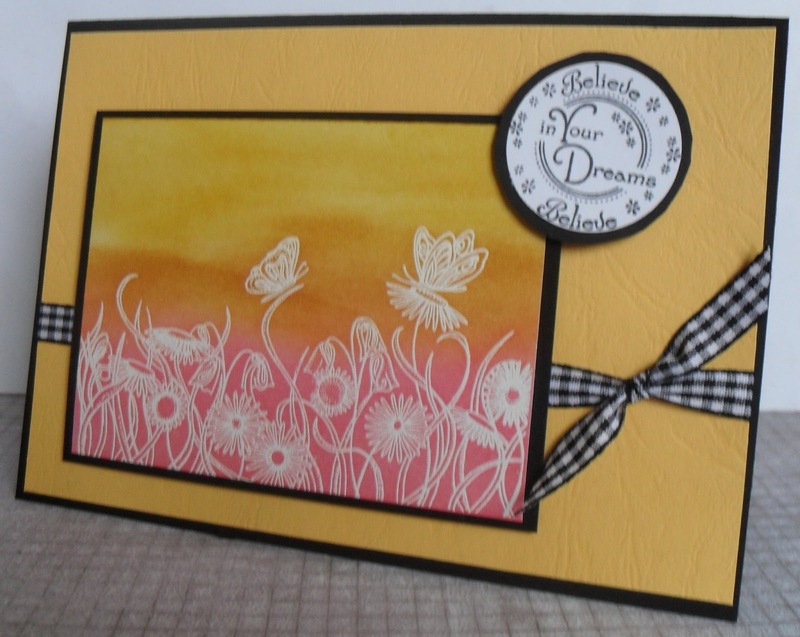 For my card I thought a mixture of similar colours to the book cover on black would look good with WOW! powders. 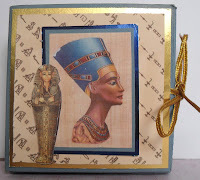 CD Sunday Challenges are this week challenging you to create a project by using a crafting CD for a Bundle of Joy. I am pleased to say, The Best of La Pashe 2012 hasn't let me down yet. Of all of the CDs I have this is my only one which could provide for this week's challenge. 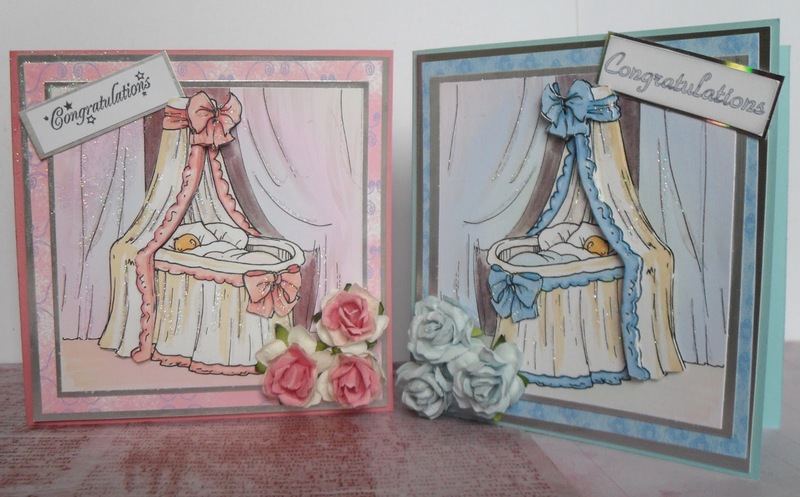 I decided, as I was making a card, why not two, a blue one and a pink one, then if I put them somewhere safe (LOL) I will be prepared. I made a blue and pink card with toning background papers, layered twice with a silver mirri card. I added glitter to the crib, bows and curtains and for that extra embellishment a few paper flowers. The blue Congratulations is with the printout, the Congratulations on the pink card is from a stamp which was free with a magazine. I look forward to visiting you to see what you have found from a CD and how your have achieved the challenge. Have fun ladies and of course any gents who may be taking part. It is such a shame that despite the calendar telling us it is now Spring, the weather in the UK is still delivering us winter weather, with snow, extreme cold, wind, heavy rains. We at home are still feeding the birds, we've just put up another small bird feeder with seeds. Oh! when will it be spring? Back to my card. 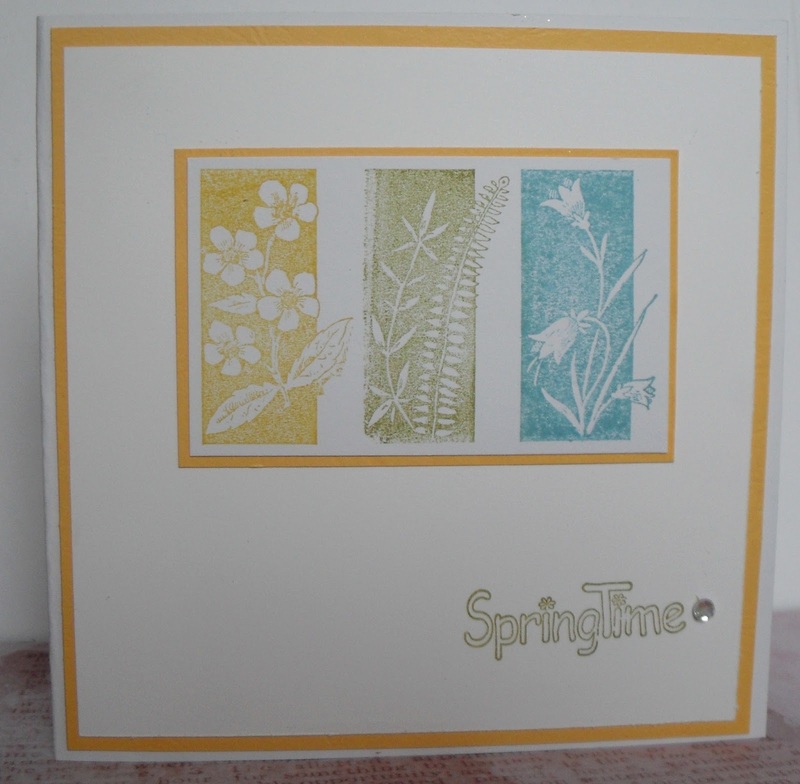 For me yellow, and pale green represent the beginning of spring, hence my choice for my Spring card. 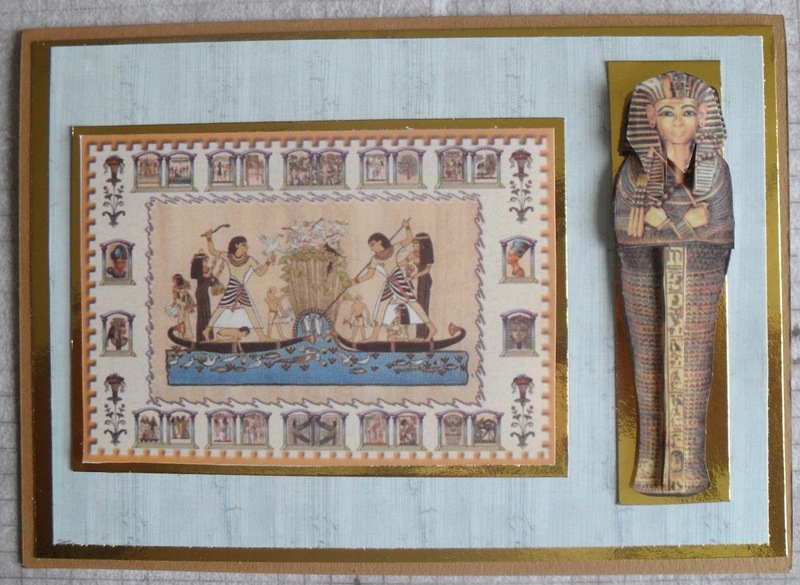 the matted image onto yellow is from only one stamp, which I love, one of my bargains. I bought this wooden stamp for £2 only, sadly the maker's name has been scribbled over. To apply the separate colours of ink, I rely on every day sticky tape. I tape the outer two images, add ink to the centre, remove the outer two tapes, add the different colours to each edge, huff and puff and stamp. I know this sounds elementary, but it took me a few bad stampings before I thought of it, so hope it may help someone else. Have fun with your CAS of Spring, and long may your Spring arrive in the UK. 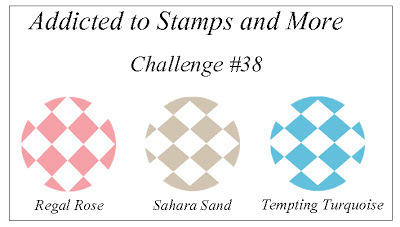 A slight change in our challenges are starting this week, at Addicted to Stamps and More, instead of splitting them into groups with numbers we will be continuing in numerical order from this week onward. Hence we seem to have jumped forward to #37 which is Make Your Mark - where you must use some form of marker pen, paints etc, more details on the main blog. My project all started with a can of Shaving Foam, or in the US Shaving Cream. There are many videos on You tube which show this technique. A dish with a layer of shaving foam, a few drops of colourant, I used two TH Distress Ink Re-Inkers for this card. Stir gently with a stick or handle of paintbrush. Gently lay on your card, remove the shaving foam and there you are Shaving Foam Marble technique, which can be used for a host of backgrounds. Once you start you can't finish, I have ended up with quite a number of marbled sheets, so watch out, it will be popping up over the next few weeks or so. 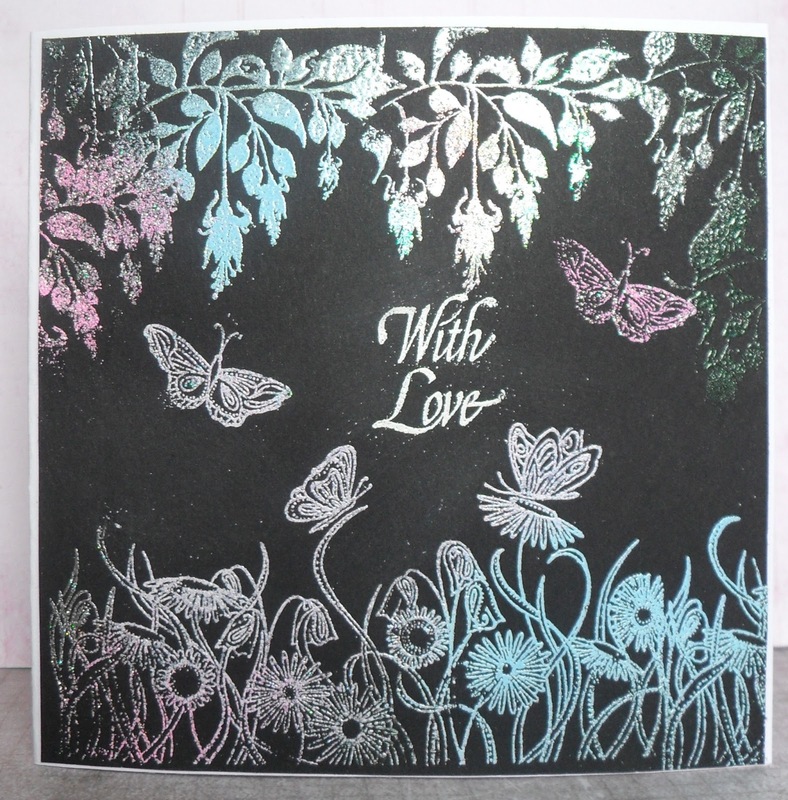 When dried, I stamped twice with a Penny Black stamp - Garden Poems, then I coloured them with Promarkers. Go on have some fun and get messy, I did and had a fab time. Have fun with your project. Another week, another challenge, it is time for a CAS ( Clean and Simple) project at Make My Monday. Can I give a reminder of what CAS is considered to be? White Detailed powder, heat dried, then I cut it with a label die. I sponged coloured it with TH Distress Inks Peeled Paint, leaving it in the die to provide a white edging. 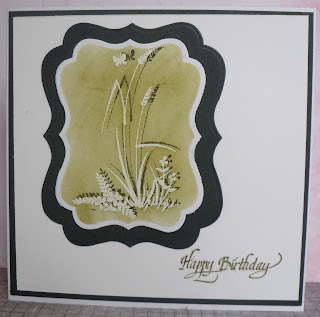 I then stamped with the same ink but in Forest Green with the same stamp, which is from Stamps Away - Wild Flowers. I believe this is called Shadow Stamping and you can see why. It is achieved by lowering your second stamping so it is as directly above as possible, then you simply move a tiny bit up or down and either right or left, whichever you choose will give a shadow effect. There have been some amazing entries of late to MMM, I am so looking forward to visiting you once again. 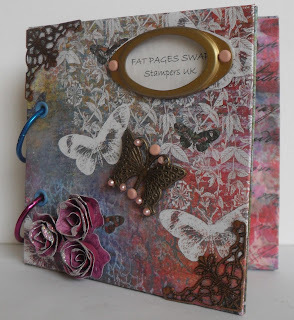 At CD Sunday Challenges for this week we are asking you to create a project with the theme Wonderful Wings, we all know there are so many options open to you for this one, don't forget the fairies, dragons, angels, aeroplanes and many more. 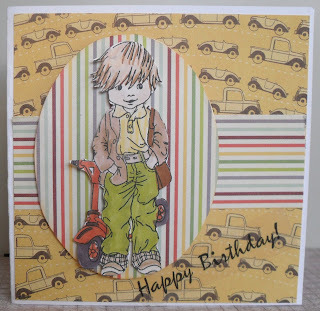 For my card, I decided on something fairly easy bit I think it makes a nice card. 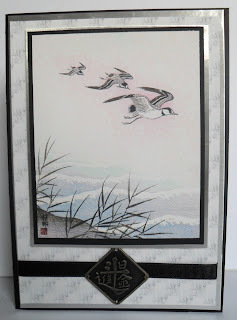 The backing paper and main image is from Joanna Sheen Oriental Dreams, yes, it's an old CD but still a favourite of mine, especially the birds and gardens sections. 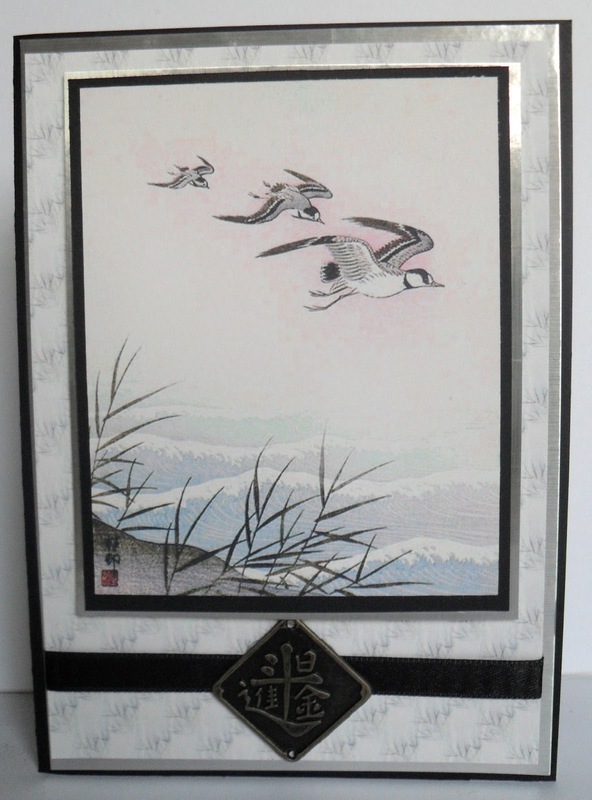 I matted onto black card and silver mirri card, I added a piece of black ribbon and a Japanese coin from my oriental collection of embellishments. I look forward to seeing your creations everyone, please have some fun and enjoy the challenge. Moving along with the Alphabet at Alphabet Challenges we are up to letter C - has chosen Coveted papers, you know the ones you bought, you smell them, stroke them, admire and covet them. Had them for ages and have not used them all up or even started to use them. Now is the time, come on give it up. No better time than now to make a project, maybe even one for yourself so you can still keep the papers. These are my papers, the last I possess in a Crafty Individual Background Papers Book 1. I decided to also use some coveted metal corners, a metal butterfly and an antique looking label holder. If you don't know what Fat Pages are, you'll find details and a few pictures here. How do these weeks go so fast? Time already for our challenge at Addicted to Stamps and More. 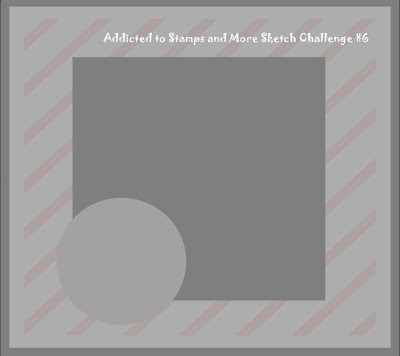 This week your challenge is a Sketch # 6. It will actually be our last Sketch challenge for Kylie our wonderful leader in Oz, is having a re-vamp of our challenges, which I'm sure you will read about on the blog. This is the sketch for you to follow. My background sheets are from a pretty paper pack which was free with a magazine. 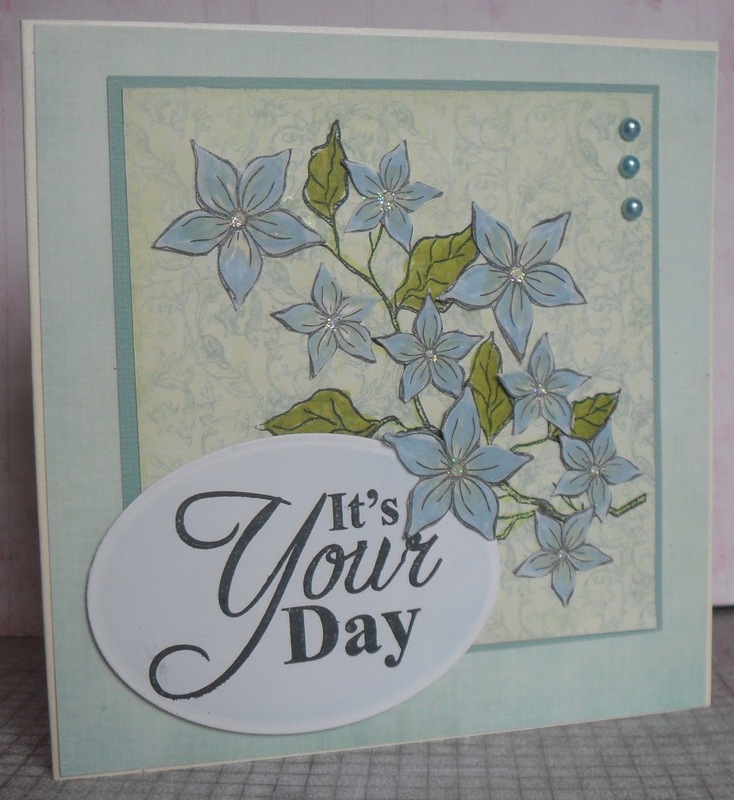 I particularly wanted to make a card with blue flowers. 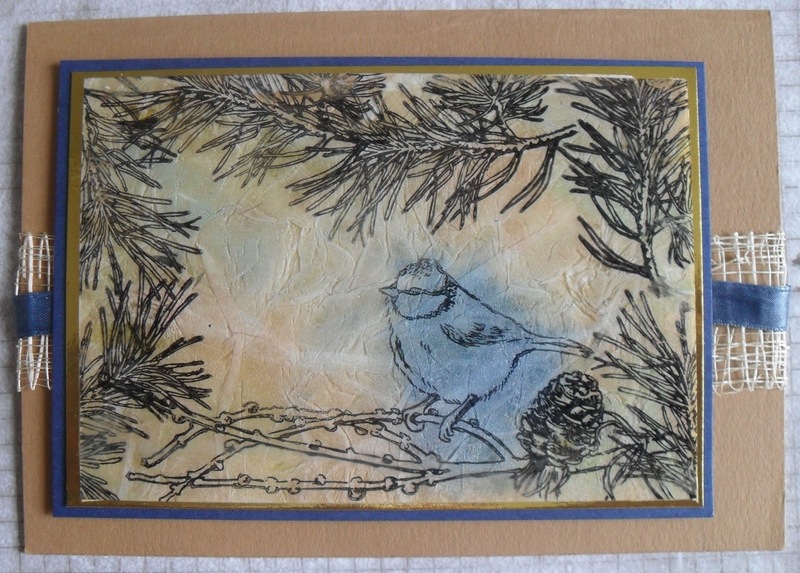 I stamped the branch directly onto the pretty paper. 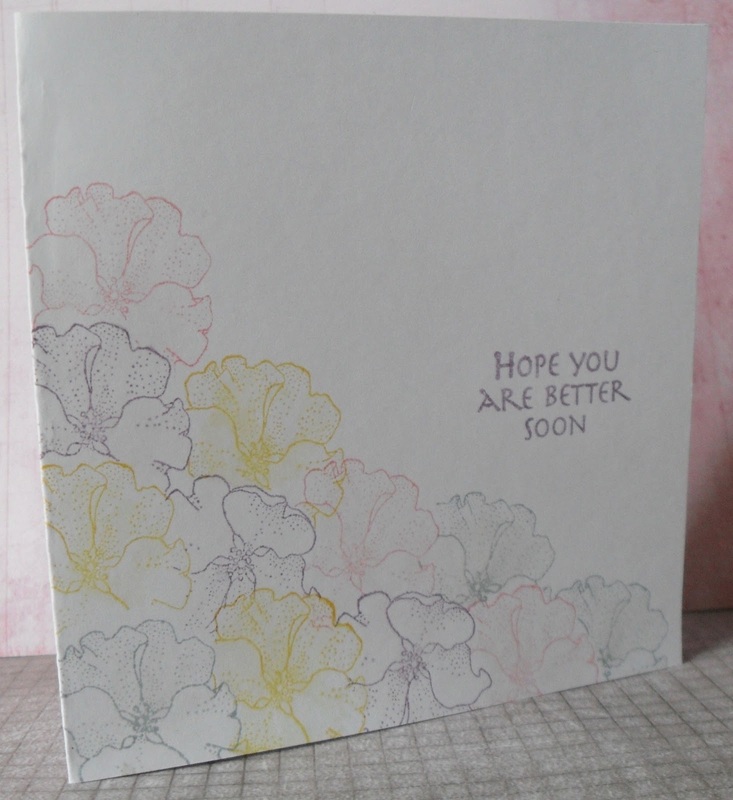 The flowers were stamped onto spare card and coloured with Promarkers, I did add a dot of Crystal Clear Glamour Dust to the centre of the flowers. 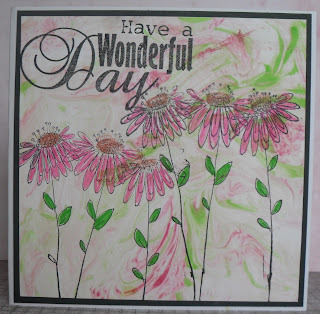 Stamps - Branch and flowers - Sheena Douglass Always Floral set. Greeting stamp - Sheena Douglass - Only Words Through the Rain set. I can't resist a technique challenge. Over at Quirky Crafts Challenges this week the challenge is to create your own background papers, no designer papers are allowed. Yippee, another opportunity to get in a mess. I started with a plain piece of white card. 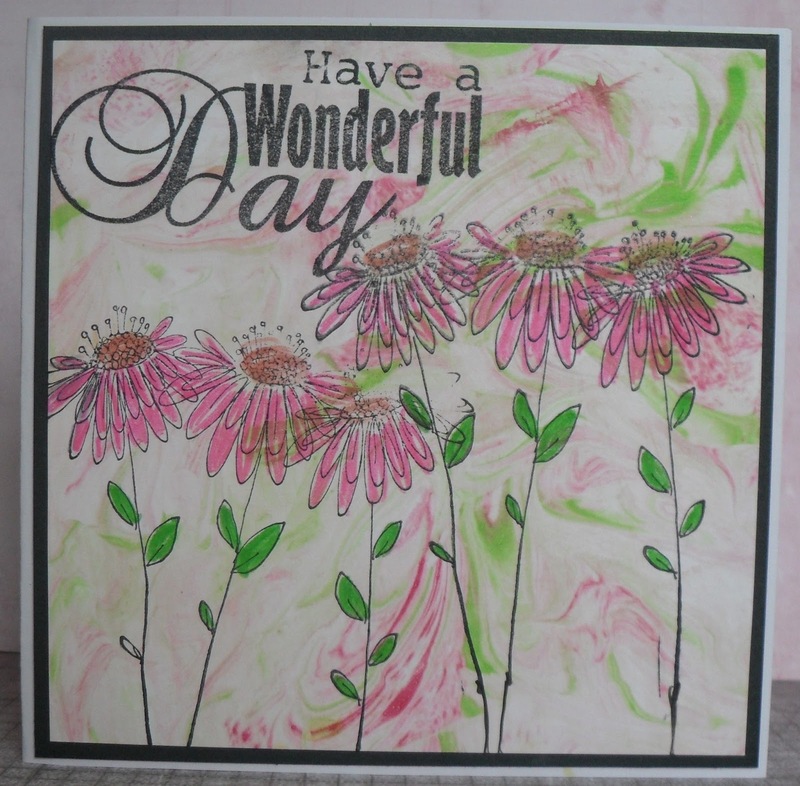 Blended in several TH Distress Inks, Dusty Concord, Peeled Paint, Broken China, I then sprayed some water over the card, left a few seconds then dabbed off to create the splattered bleached effect. I sprayed a fine mist of Glitz Spray which sadly doesn't show on the picture. 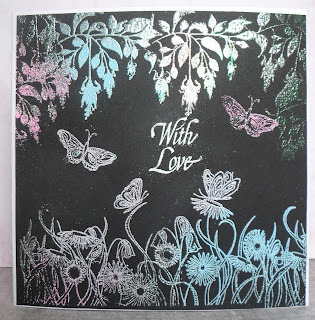 using Memento I stamped twice with a Penny Black stamp - Garden Poems. Coloured it in using the same Distress Inks as a watercolour paint. Added a Sheena Douglass greeting stamp, completed with a nice white ribbon with a silver edge. At Make My Monday for the next week are challenging you to create a project using the technique Heat Embossing, now this could be one of several heat embossing techniques, direct heat embossing, using UTEE, (ultra thick embossing enamel) or the resist technique, which being honest, as techniques go, it is top of my list of techniques. You never fail to get a good result with the Resist Technique. 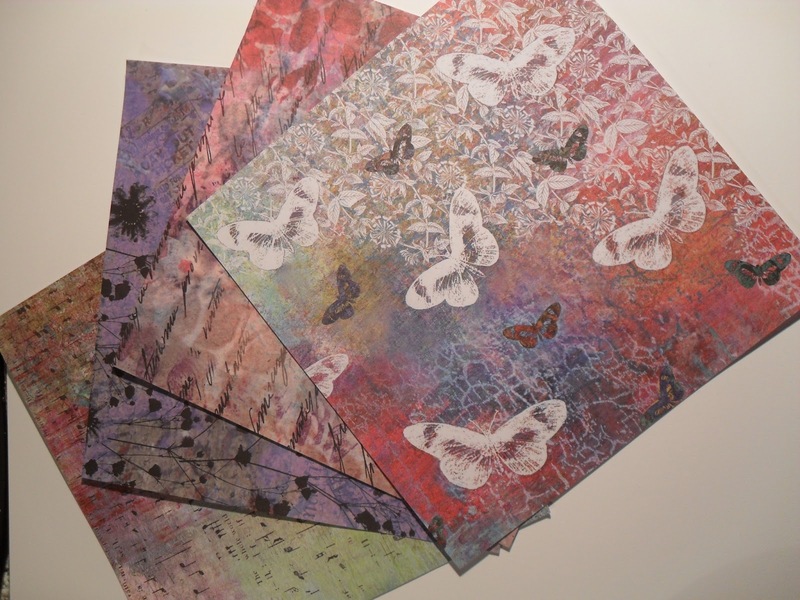 I started by preparing the main body of my card, then cut the image sheet. I rubbed all over with an anti-static bag. 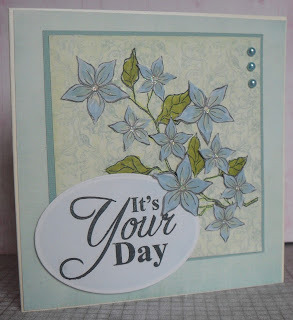 I stamped using Versamark, sprinkled a white Stampendous detailed embossing powder over the Versamark, removed the excess powder, then using my heat tool melted the powder. Put aside to cool. When cooled, I rubbed across the lower third with Worn Lipstick, then across the centre third with Wild Honey, and along the top third with Mustard Seed, all TH Distress inks. 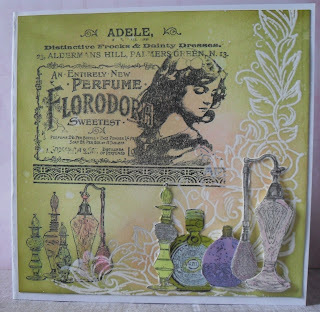 I blended all three, then with a soft piece of tissue I rubbed over the stamped area to remove any wayward ink. It buffs up great, lovely and clean. The stamp is from Little Claire, is called Cherish, Hope and Dream. It is such a versatile stamp. 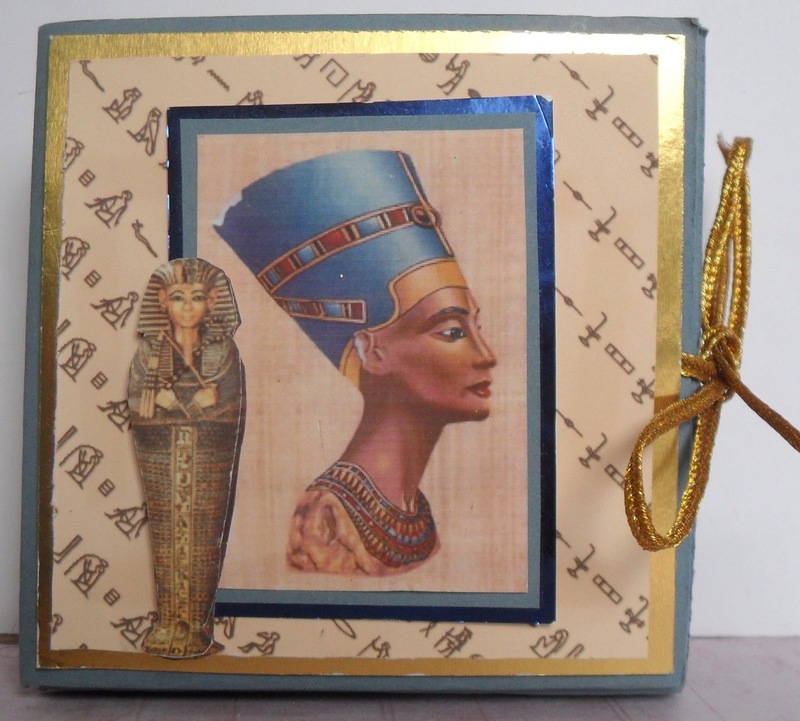 I look forward to visiting your blogs to see how you have created your project using Heat Embossing - have fun and stay safe. From our recent DT call I am so pleased to welcome to the Deezine Team Laura, Rosie and Jan (JayBe). Please do visit their blogs I am sure we have lots of exciting projects to look forward to. 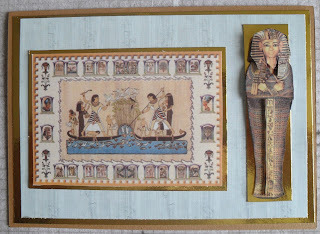 Land of the Pharaohs is our challenge for this week at CD Sunday Challenge, I do hope you have fun with this one. 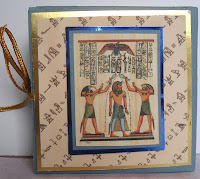 The paper and images for my card are from Joanna Sheen's Egyptian Adventure CD, it is an old one, but still very useful. 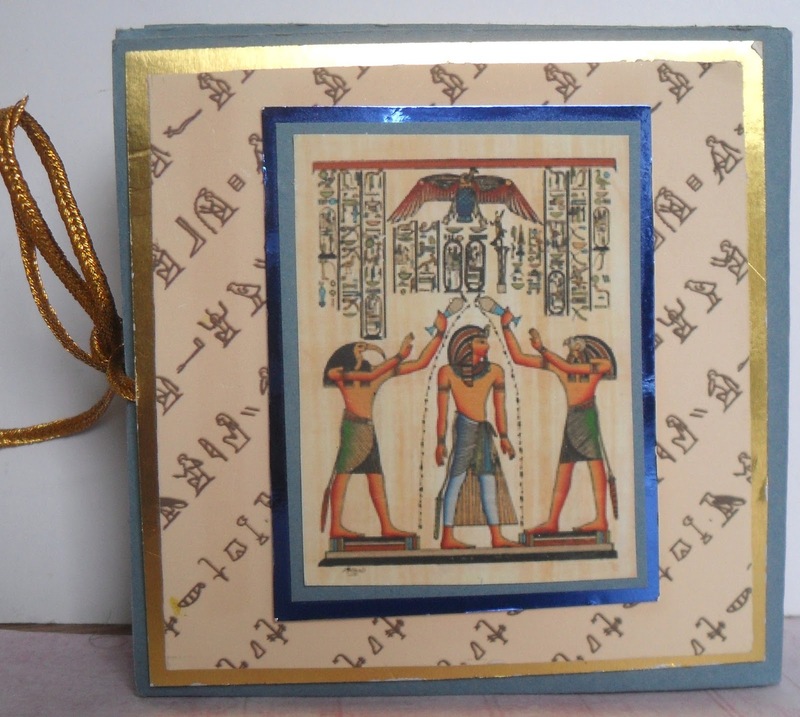 It was after I had made this card, I remembered I had once made a fold up card with papers and images from the same CD shortly after buying it. This was in the days before my blog. I have now added it as a postscript at the end of this entry. I needed to get it photographed in some daylight. 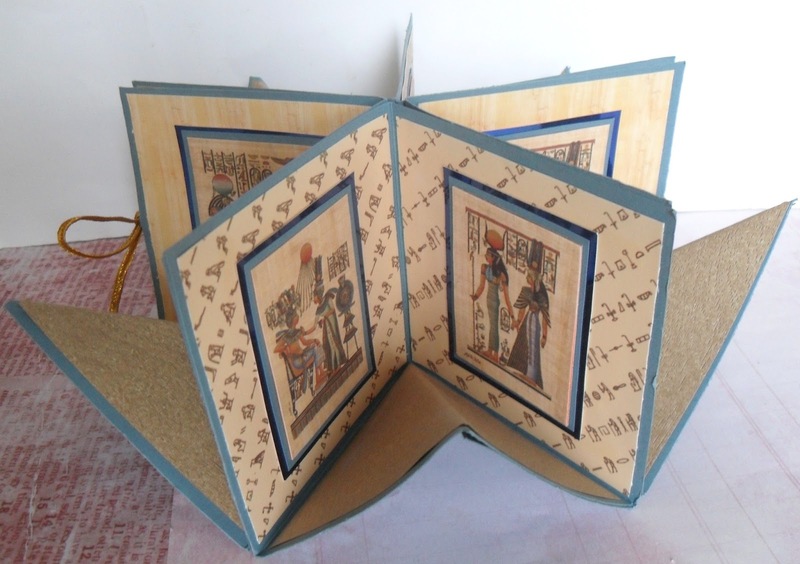 Have fun everyone in your project creation for Land Of The Pharaohs. I'll be popping round to visit you all. For my card having decided on my colour choices, I matted a piece of blue card onto a white square folded card, next I added a white square of card. I punched out a 3" circle with a punch, or a die could be used. I then blended Salty Ocean and Mowed Lawn TH Distress Inks to form the sky and grass. Sprayed with water, after a few seconds dabbed with a dry wet wipe, which creates the dispersion of the ink. I used a leaf tapestry peg stamp in two colours to form the leaves and a flower tapestry peg stamp in two colours to create the flowers. 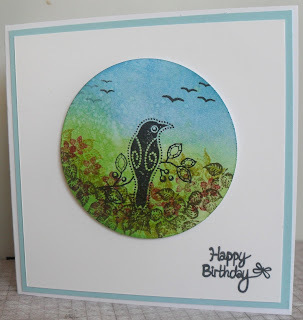 The bird from Inkidinkado is stamped with Tuxedo Black from Memento. The flying birds are from a set by Inkylicious - Trees. The circle was added with 3-D stickers to the main card. 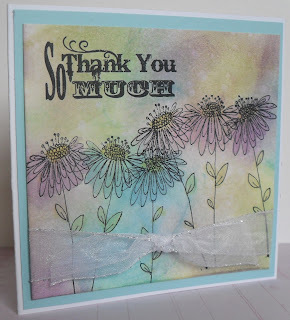 i love the effects we can achieve with Distress Inks. I look forward to visiting your entries, I am sure we will see many CAS variations of WINGS. Above all enjoy crafting. Here we are round to our CAS (Clean and Simple) week. A long time ago I bought several sets of La Blanche flowers, they were the first La Blanche stamps I had bought. I must add I have bought many since. They are so different to both rubber and clear stamps, yet they give such a clear defined image. I believe they are made of foam with a silicone coating. They were once very reasonably priced but I have found as they have become more popular, of course, the prices have gone up. 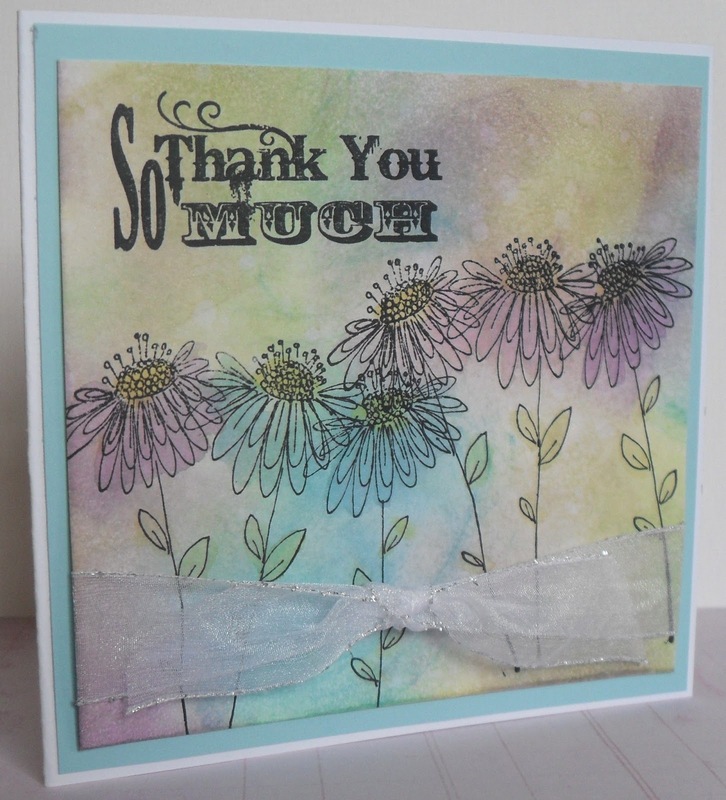 I have used a very small stamp, actually my most favourite flower stamp of all, I used several Distress inks to stamp directly, using post it note masks. 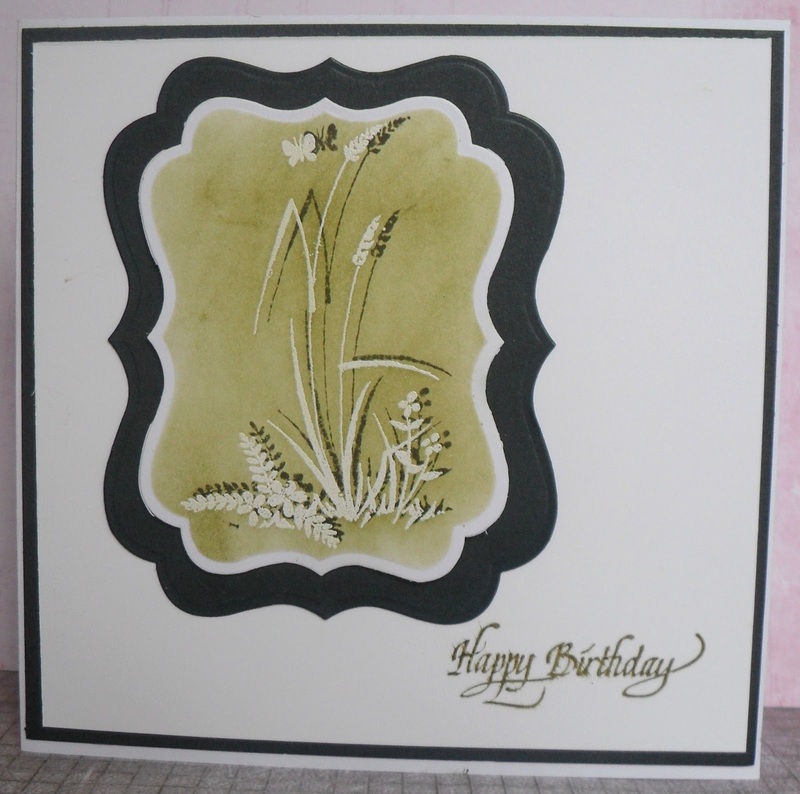 I decided not to add any further colour, other than the greeting stamped in a similar colour rather than using black. 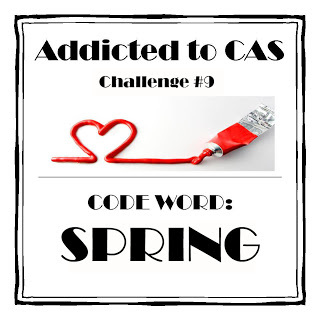 I hope you have fun making your CAS card, where really Anything Goes - for there is no theme attached to it. Biker Girl - Punk not Pink! For my second entry into the Designer Paper challenge at Creative Corner, this paper was the perfect background for the Biker Girl. Usually cute type stamps are very pretty, pink, feminine and flowery, but I wanted something different, to show they can be a little more grungy and on the punk side instead of the pink side. 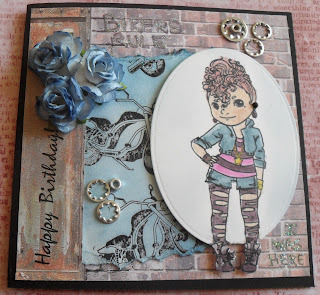 The papers are from a male paper pack by HONO papers, the wonderful female biker is by Crafty Sentiments stamps. 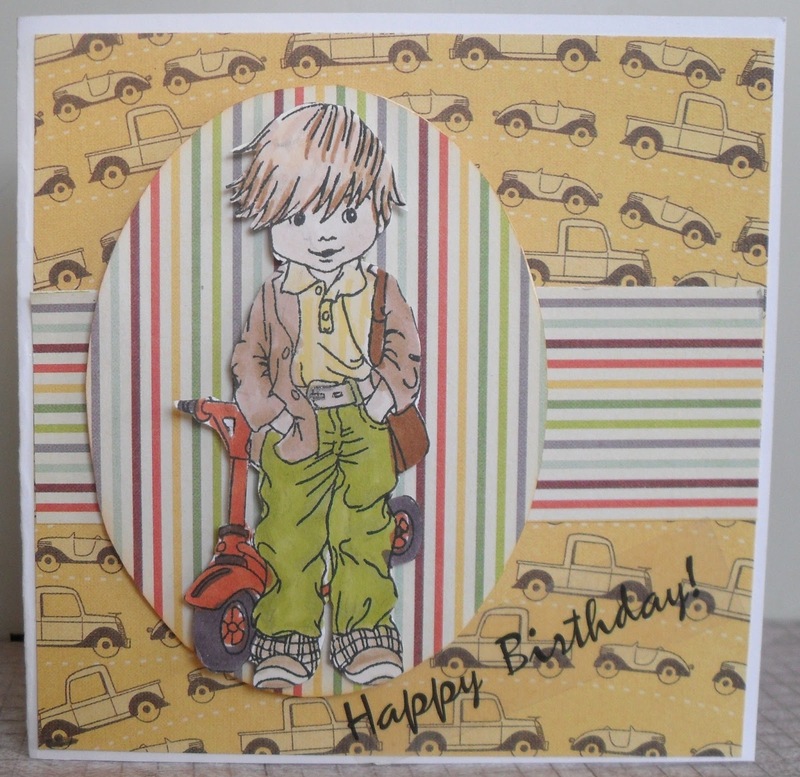 I coloured the image with Promarkers, the motor bike grungy images are from a motor bike stamp by Papermania. I have added a few cogs as parts of her bike, never having written graffiti I had fun creating it on this wall. One thing some of my blogging friends may not know is I was once a Biker Girl. My OH and I spent several courting years travelling on his Norton bike, so this stamp holds fond memories for me and yes, at one time, I did have pink hair. Thanks for visiting me and for any comments you may leave, they are always greatly appreciated. Whenever I find a new challenge blog I do try to support them in their early days, the more attention they can get the better. I found Creative Corner last Friday, the day of their challenges, so here is my first entry for this week's challenge Designer Papers. My papers are from a lovely booklet of male orientated papers from We Are Memory Keepers. The boy, isn't he so cute, from LOTV, I coloured with Promarkers. Hope you like my entry and best wishes for a successful new challenge blog ladies. Many thanks for the wonderful entries last week for my Pink and Black theme. I greatly enjoyed visiting you. For this week, at Make My Monday, we have Inspired By Nature - we would like you to make definite classic nature inspired entries - no cuties will be judged in this week's challenge. For my card the technique I used is called Caught in Crystal there is a video on You tube the details are here. 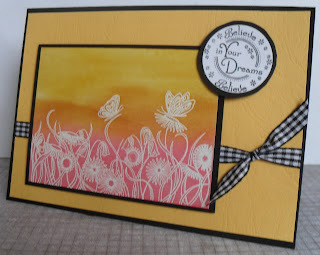 I used kraft coloured card for the background, fastened a piece of mesh with blue ribbon to add texture. The stamps I used are from Sheena Douglass - the fir branch, branch with the bird are both from A Little Sketchy - Faith. I used H2Os behind the acetate. I look forward to once again visiting you, have fun with your project. - NO STAMPS - . 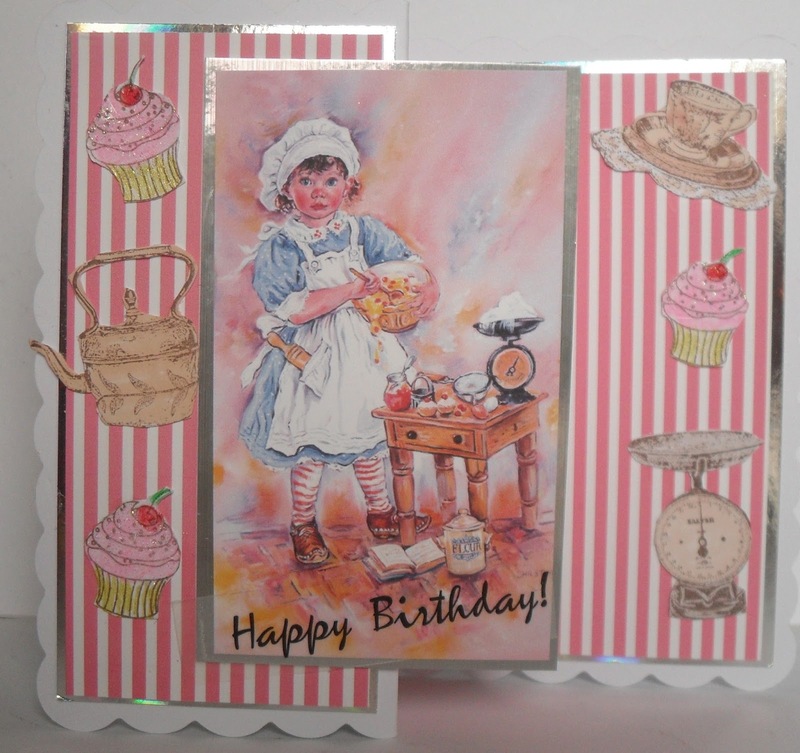 I have made this card for a friend of mine who needs certain cards for her business. The whale has been cut from an A3 sheet of sea creatures, along with the bubbles. I used an A3 sheet of wax type paper, tore it into strips to create the waves in the green and blue shades. The greeting has been computer created, punched out with a die. 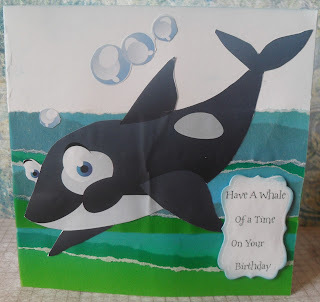 The addition of a big googly eye helped the whale come alive. 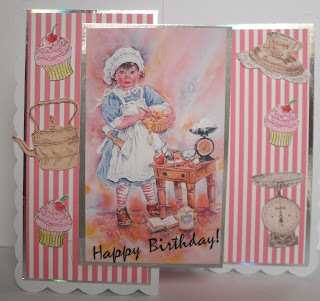 Thanks for the chance to show this card, even though I rarely make a card without a stamp. At Alphabet Challenges , Avril has chosen for the letter B - Bottles. For my project I decided to use stamps from Crafty Individuals. There is the Floradora Perfume advert and two sets of bottles of perfume from CI 335 and 341. I used TH Distress inks to add the colours. The corner stamp from Sheena Douglass was heat embossed with Stampendous white detail powder . Please pop over to the main blog where my fellow team mates have had great fun, obviously against character there are a number of bottles which hold alcohol. LOL I wonder how many varieties of bottles we will see over the next two weeks? have fun everyone.